Now that the library strike is over, I’ve lugged home a big armload of books. I finally have gotten around to reading this very special picture book, and it was worth waiting for! 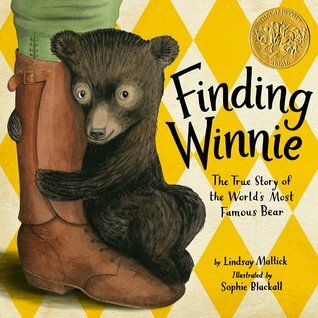 Finding Winnie: The True Story of the World’s Most Famous Bear was written by Lindsay Mattick and illustrated by Sophie Blackall. It was published in 2015 by HarperCollins. “Could you tell me a story?” asked Cole. There is so much to love about this story! The unique structure of intertwining stories from different generations is fascinating. I loved learning about how Winnie the Pooh came to be, and enjoyed learning about in the White River connection, having driven through there many times on the way to Thunder Bay. I thought the author did a lovely job of integrating interesting facts (e.g., the number of ships sailing across the Atlantic) into the story. This is truly a book for all ages – and I think it would be a lovely “family read aloud” to spark interesting discussions. The realistic, soft style of the illustrations suited the historical nature of the text. It was so interesting to have reproductions of actual photographs and research materials in the Scrapbook at the end. 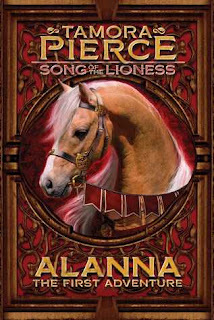 As a teacher, I really liked the way this book contains a “story within a story” and explains how a story character developed and took inspiration from real life. There are many reviews and ideas posted about how to use this book with students, but I think it would be a lovely mentor text for encouraging students to learn about their own family history. For example, to encourage children to interview their own parents and grandparents to find out about the interesting stories in their family history. There is a wonderful and comprehensive teacher guide for Finding Winnie with Social Studies, Math , Language Arts, Science and Arts connections. Brain Pickings featured a summary of the story with links to resources.